Osmania University (OU), Hyderabad has delivered a notification for the State Eligibility test for the states of Telangana and Andhra Pradesh. Applicants who wanted to make their career in teaching can fill the forms for this State Eligibility Test. This is the test conducted by the State government while appointing the Teachers in Government schools. Teachers Eligibility test is also known as TET and this is the mandatory test for all the candidates who are interested to work in government schools of Indian. Each and every state Government of India conducts this State Eligibility Test while recruiting the candidates for their vacant post. Candidates can submit their applications online from October 10 to 31, and with a late fee of Rs. 100 from November 1 to 8. With a late fee of Rs. 200 applications can be submitted from November 9 to 15. 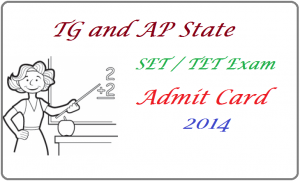 Download AP and TG SET Hall Ticket 2014 of APSET Exam TSSET Admit Card 2014 Released. The State Eligibility Test (SET) will be scheduled from the announced dates of 4th January 2015 from 9.30 AM to 4.00 PM on organizations intimated. First open the official website of the their state. Now search for the admit card download link and click on it. Now enter all the reacquired of yours and click on submit. Your admit card will be downloaded. Take a printout of it and carry to the examination center. Many candidates have applied for the State eligibility Test which is going to be conducted soon and they need to know the syllabus and exam pattern. Candidates are informed that the type of questions will be objective in nature and there will be 1/4 negative marking in the examination for the wrong answers. The examination will be conducted in two phases. In first phase the exam for lower primary teachers will be conducted and in next phase for upper primary teachers. 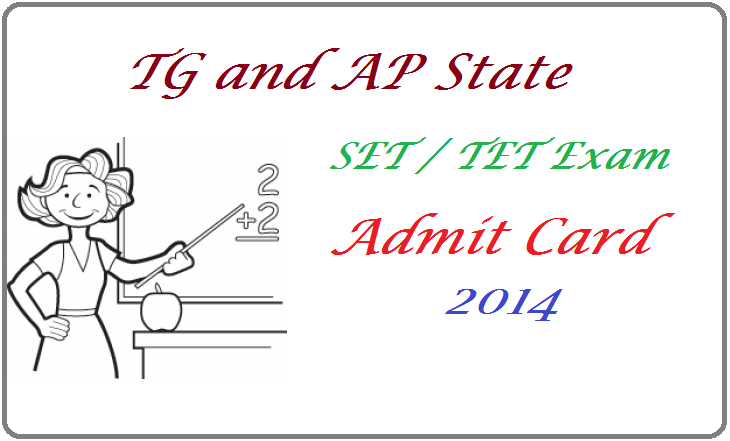 It is mandatory for the candidates to know the TG AP SET pattern 2014 before appearing in the exam. Press CTRL+D right now to bookmark this website. All previous Question papers for SSC, RRB, IBPS, IAS (civils), Groups are available in allindiaroundup.com. Here we provide all the information about Job notification, Admit cards for exams, Materials and previous question papers for exams, Results declared. Stay tuned for this website for more updates.